DON'T FORGET TO ORDER YOUR NC LICENSE PLATE. ​$20.00 + $50.00 personalized. They must preorder 300 plates for the state to begin making them. Check out the link below for more information. ​Sponsorship is offered in different levels and comes with links on our website, listing in our monthly newsletters, etc.. TWHA is a 503-B organization, and your contributions are tax deductible. Go to our Sponsors page and fill out the form and someone will get back to you or print off the sponsorship form in PDF format and fill it out and return it to the contact listed on the form. TWHA is offering advertising on our website. If you are interested in advertising with us, please contact the advertising committee for prices and more details. Go to our Contacts page for contact information. ​Please let us hear your voice and help make 2019 the best year ever. 2019 Show Calendar now available. 1. Intermediate Horse or rider could not have Won an overall all Division award in TWHA for the past 3 years. 2. Intermediate Rider is open to Non-Trainers, Non-Professional exhibitors only. 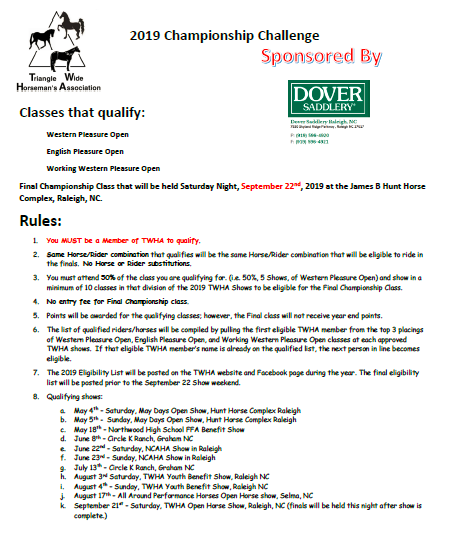 If you are a someone who has received money for Training horses or giving lessons you are not an Intermediate rider. 3. 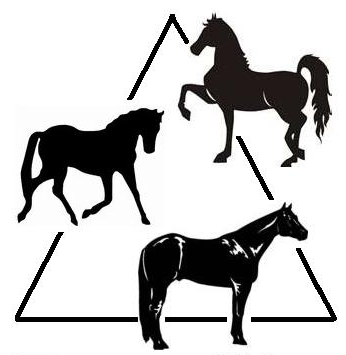 Intermediate Horse or Rider cannot cross over between Novice and Intermediate classes.